His meticulous execution of each plate has brought him many commissions throughout Europe, especially in Austria and Germany. 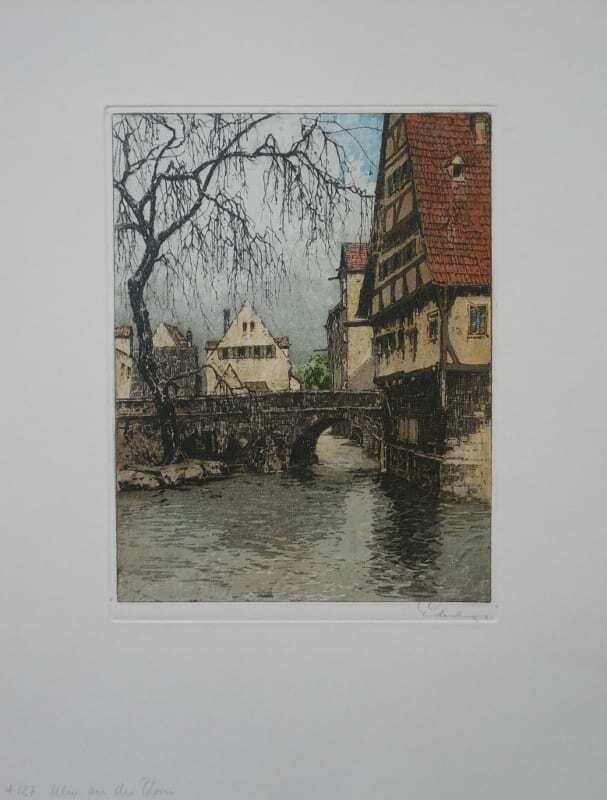 In 1973 after visiting the United States for the first time he created a series of California etchings, adding a new dimension to his exquisite European scenes. In 1974 he was commissioned to do a series of color etchings of Williamsburg, Va. in commemoration of the United States Bicentennial celebration. His work can be found in galleries and print collections throughout the world.